Watching: Nothing. Where I live, there is no through-the-air television reception and we do not pay for cable. Reading: Tonight I am reading Immanuel Kant. I am taking a course on Modernism through Coursera.com. I have already finished a writing course and an art course and have signed up for many more. Listening: The Power of Habit by Charles Duhugg. 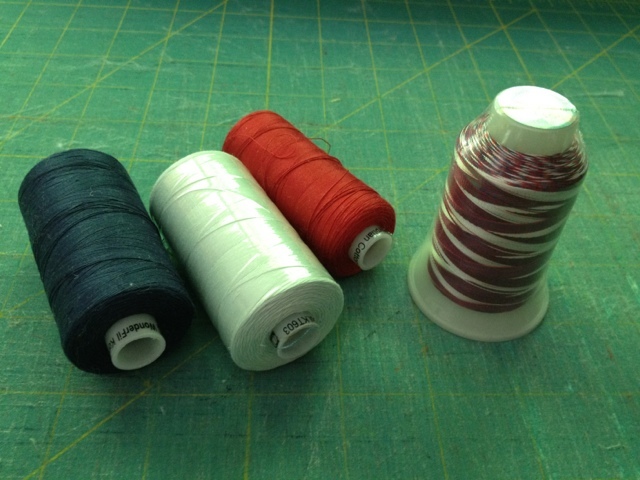 I listen to audiobooks while I quilt. 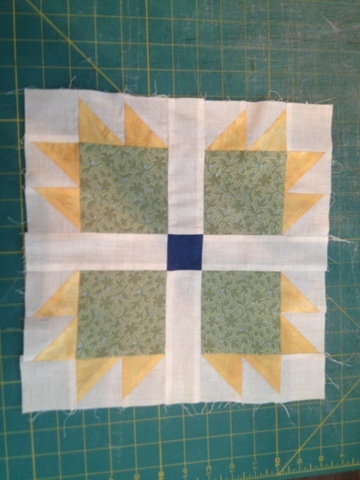 Making: A very special quilt that is near and dear to me. It has been in my head for years, on paper for about 18 months and finally is coming together in fabric. Stay tuned! Feeling: Excellent and grateful for it. Last winter was a tough one for me but now my future is so bright, I've got to wear shades! 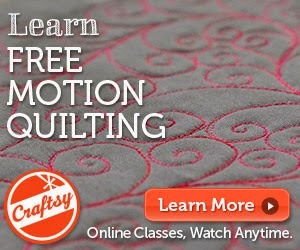 Planning: I am doing some quilt-related filming at the end of the summer and diligently making plans for that. More on this later. Loving: Dresses! Since I am filming, I had to go clothes shopping. I bought dresses -- a bunch of them -- from eShakti.com. Why did I not know about this site earlier? I am now channeling my inner 50s hausfrau. I may break out my pearls and wear them when I vacuum. Hmmm... do I even own a vacuum? All of my floors are tile or hardwood and are cleaned regularly, but they are never vacuumed. Care to play along? Comment with your own list of what you are "currently" doing. I just returned home from a teaching trip to Shreveport, Louisiana. This is the 38th state I've been to and am hoping to add the remaining 12 states in the next year or two: Alabama, Oklahoma, Mississippi, Arkansas, Colorado, Idaho, North Dakota, South Dakota, Montana, Wyoming, Alaska, Hawaii. 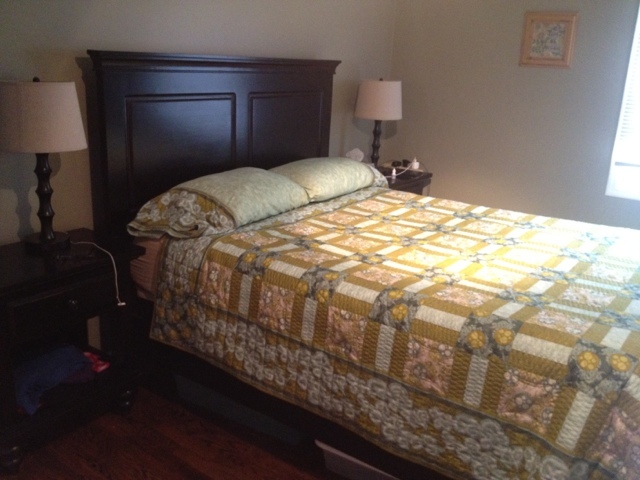 If you live there and need a quilt teacher, look me up! The photo doesn't show just how twisted and damaged this poor bag truly is. After waiting an hour to find someone employed by Delta, he, to his credit, took one look at my bag and handed me a brand new suitcase out of the box. No paperwork. No claims forms. No asking for proof of the age of the bag. Accidents happen, so -- Nicely Done, Delta! I saw that the R. W. Norton Art Gallery was number one on most lists of Things To Do In Shreveport, so I went there for a visit. This is the first video I have taken and then uploaded with my phone, so please be understanding. I think it is playing at triple speed. The building was beautiful. There was a very interesting collection of art inside, but there were also fascinating floors. I am 5 foot 6 in my stocking feet and had trouble reaching this. I have many friends who are less than 5 feet tall. How on earth were they supposed to reach this? The other "touches" were less fun and I will probably not stay at that hotel again. We had a great time together and left with promises of "See you in Houston!" Chocolate cake as a base for S'mores. I can now die happy. I had a visit this morning from a sewing buddy. She did a little cutting; I did a little sewing. We accomplished little things yet it was a great time together. Today was my lady day in the studio for a while. 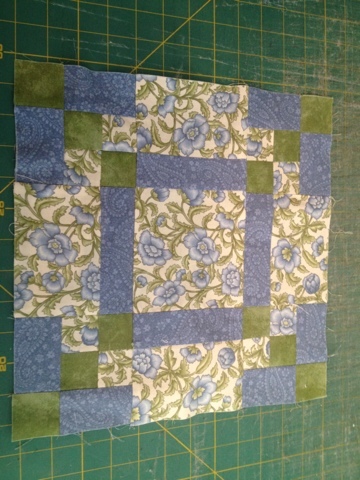 I was happy to get caught up on my Quilt Basket block of the month. It's Katie M from Katie and Kwilts. Look for this in the mail. It's time to change quilts. 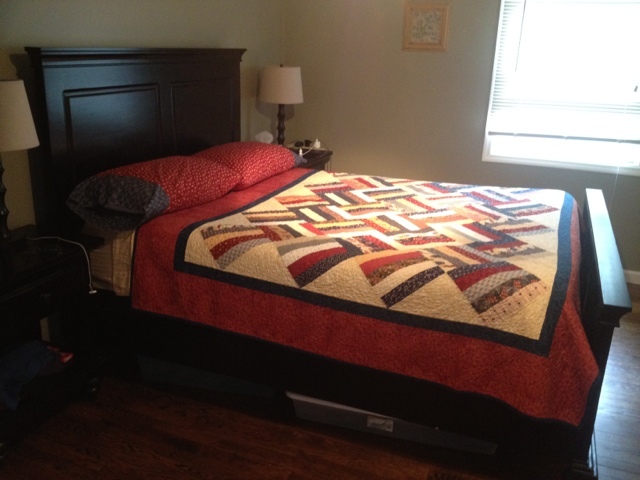 I started the day with my Lonni Rossi quilt and changed to a patriotic one for the Fourth of July!